Higher education is expensive and more often than not, students have to take student loans to pay for tuition and other associated expenses. So, when they leave college or university, they are burdened with loans that they have to repay quickly. This is where scholarships can prove to be a boon for students. Meritorious students benefit the most from scholarships that help them pay for higher education. The fact that scholarships don’t have to be repaid like student loans make them highly coveted and students vie with each other to get them. The process of applying for scholarships differs from college to college. For instance, ARCH College of Design and Business, hosts All India Entrance Examination for Design (AIEED) – Scholarship Aptitude Test (SAT) for students interested in pursuing courses in design at undergraduate and postgraduate levels. 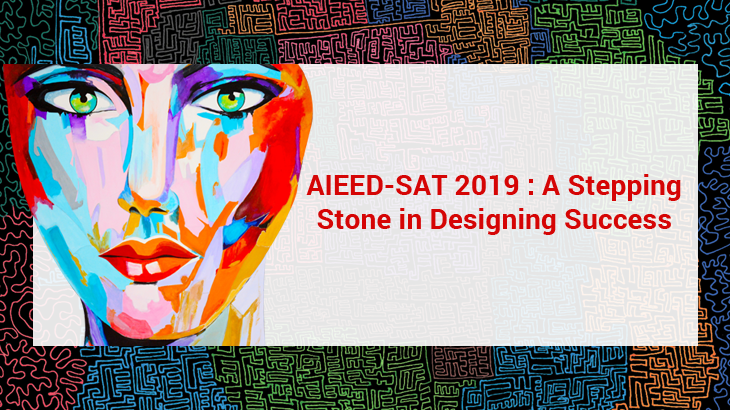 AIEED-SAT 2019 tests students for their aesthetic sense, design ability and creativity. It also tests the problem solving and logical reasoning abilities of students. The scholarship is for students pursuing undergraduate and postgraduate courses in design. AEED-SAT 2019 is an online examination which is divided into three stages, where Stage 1 is the General Aptitude Test, Stage 2 Creative Aptitude Test, and Stage 3 is where the students introduce themselves through video, portfolio and Skype call. The Stage 1 is for two hours and has three slots. Similarly, Stage 2 too has three slots, but the duration of the examination is three hours. Applications has started from 1 October 2018 and the examination will be held from 1 December to 15 December 2018. Any student who will be appearing the same year for or has cleared 10+2 from a recognized board can appear for the undergraduate level examination while graduates from any discipline can appear for the postgraduate level courses. If you are dreaming big and want to carve a niche for yourself in the world of fashion designing, it is time to enrol for the right course and sit for the AIEED-SAT 2019 scholarship exam so that you can live your dream by getting admission in one of the top colleges in India. AIEED, Scholarship AIEED-SAT 2019, postgraduate courses in design, undergraduate courses in design. permalink.